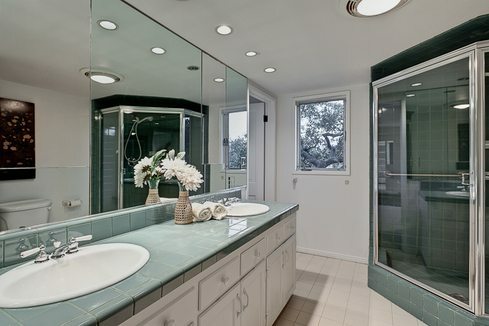 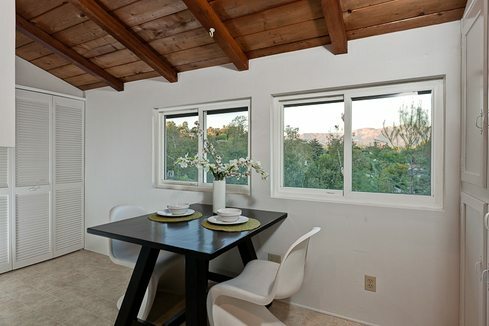 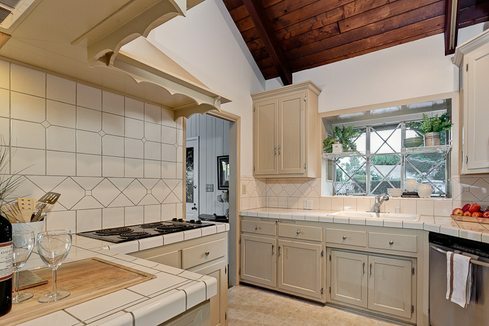 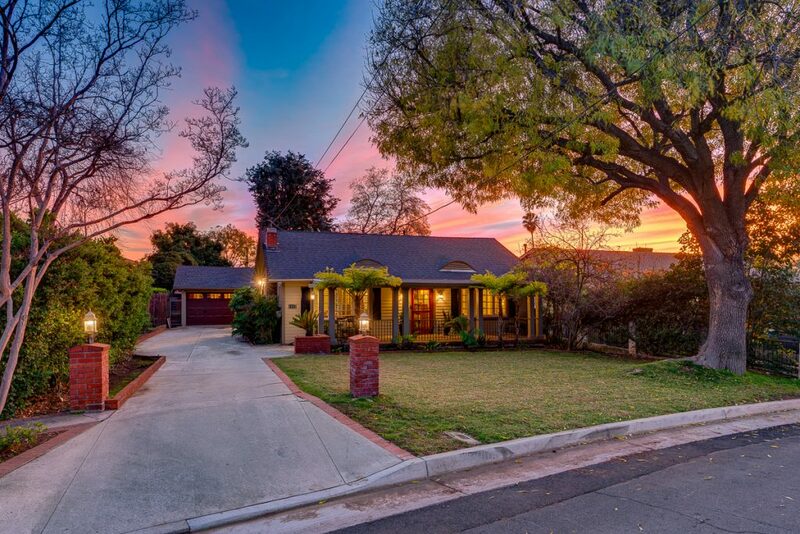 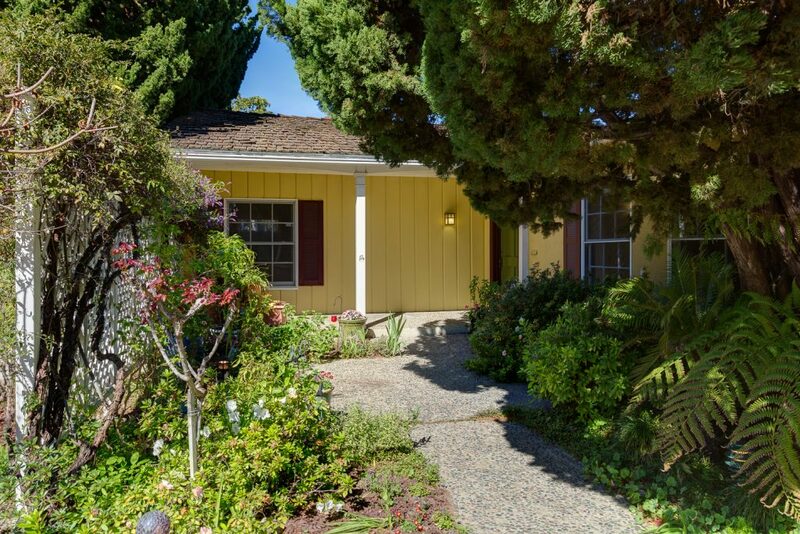 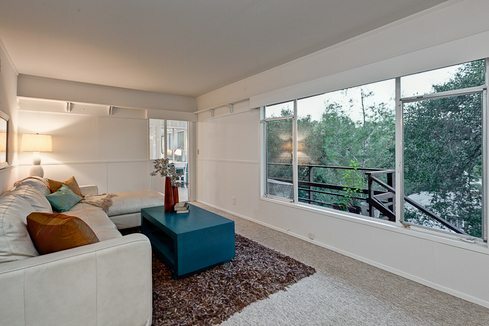 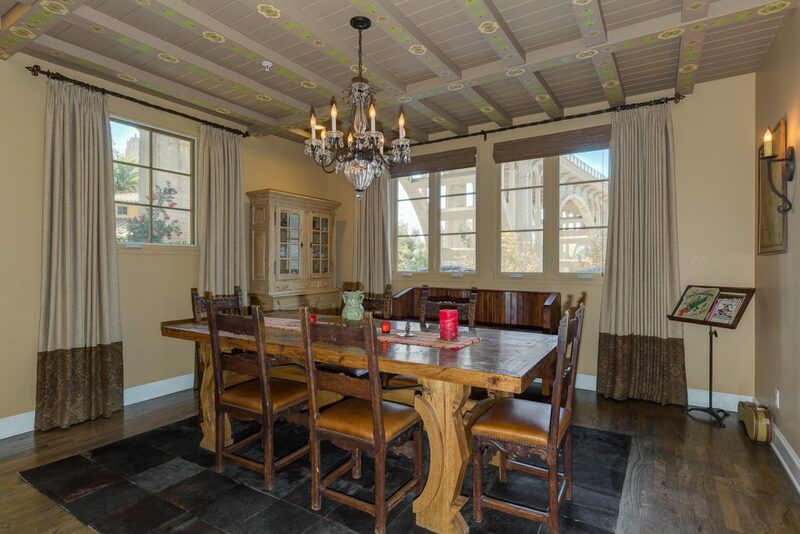 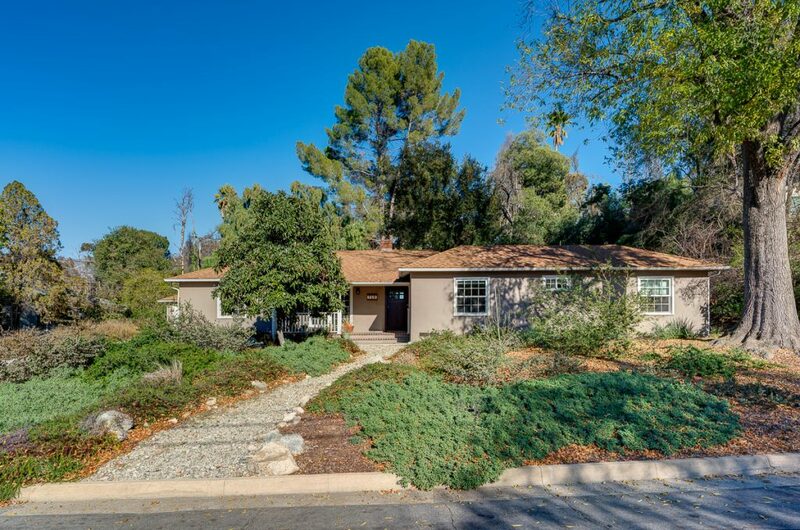 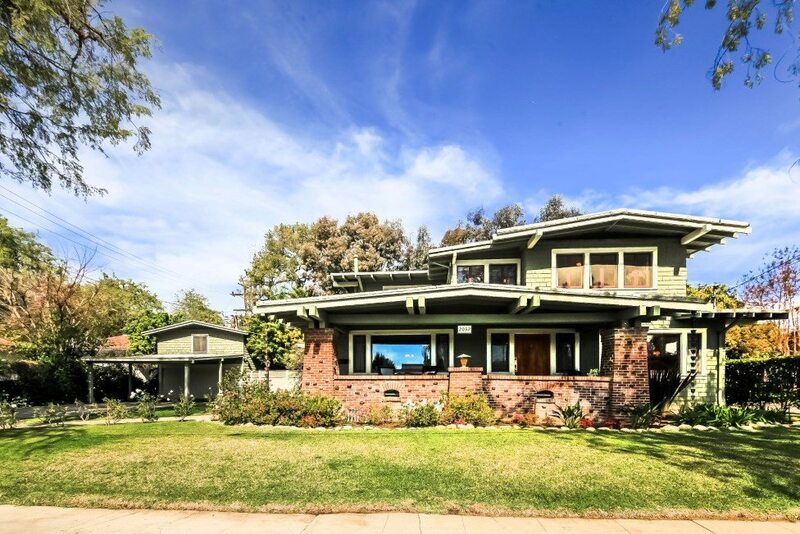 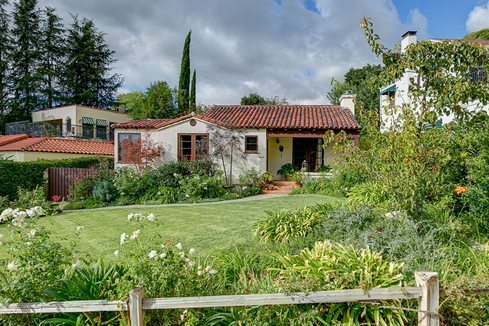 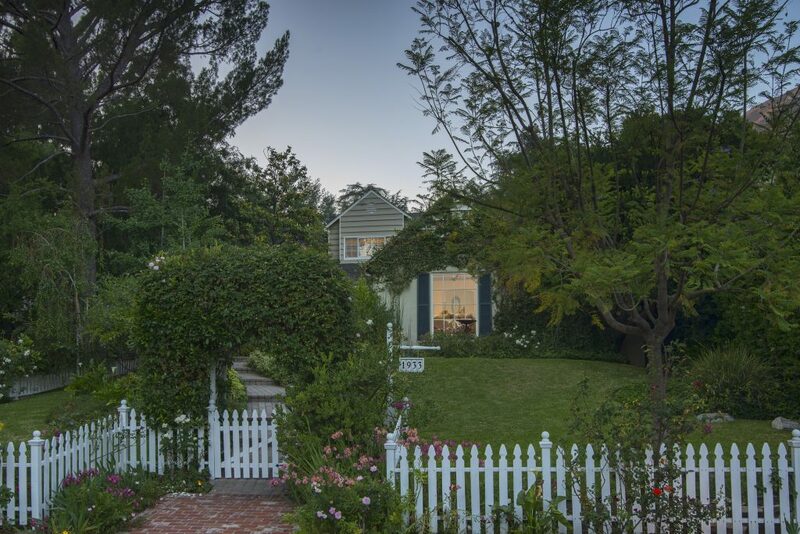 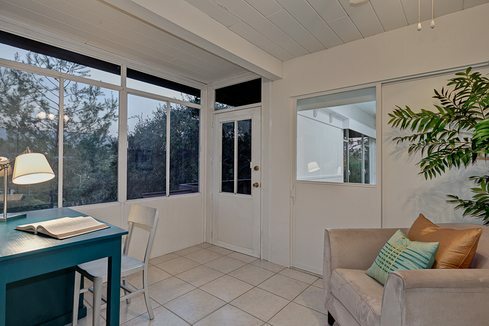 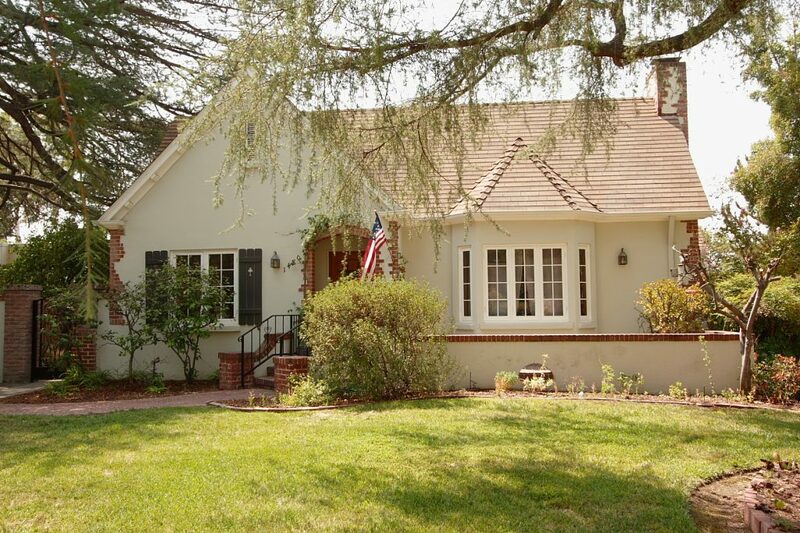 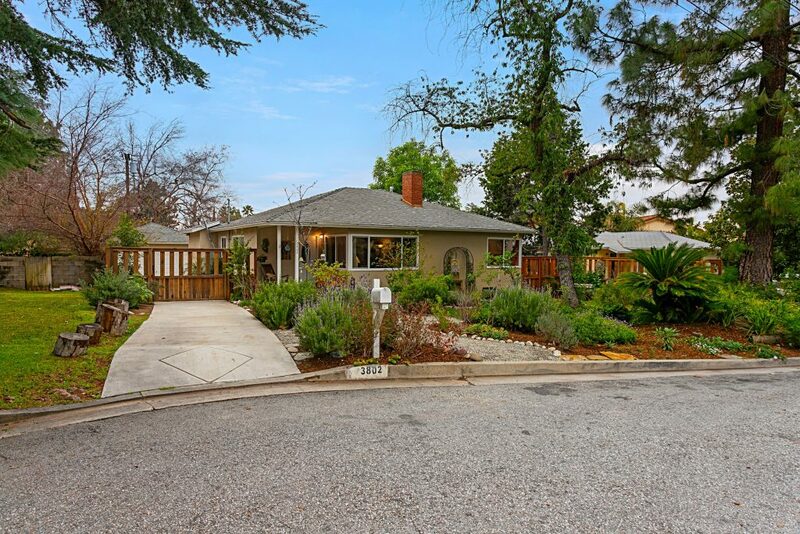 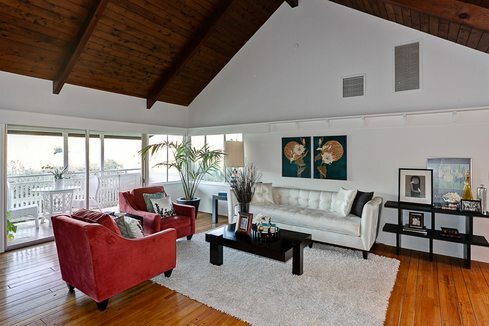 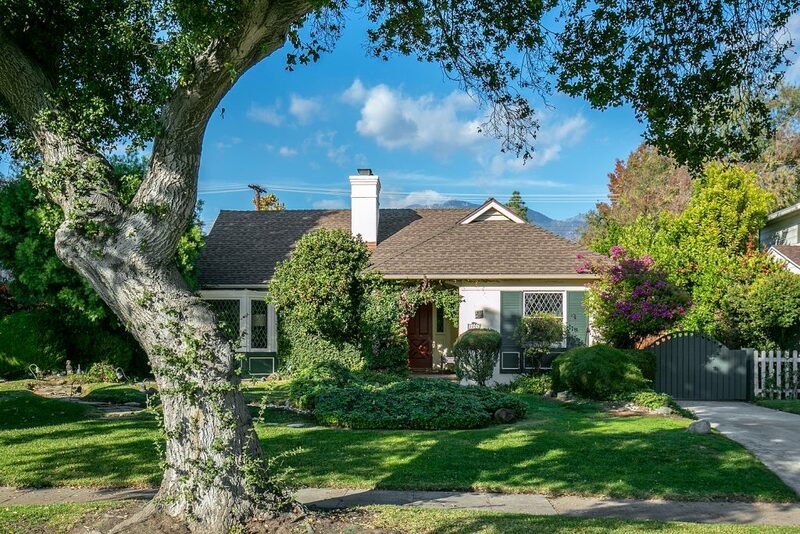 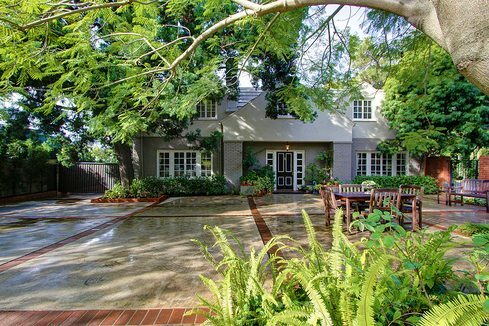 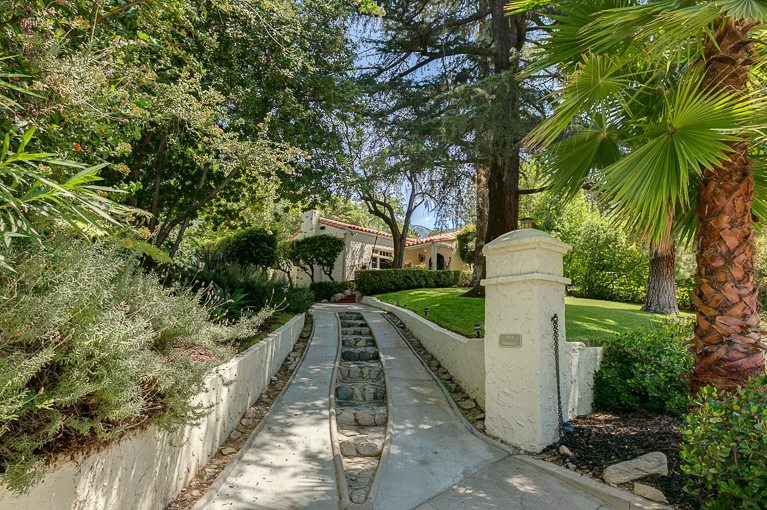 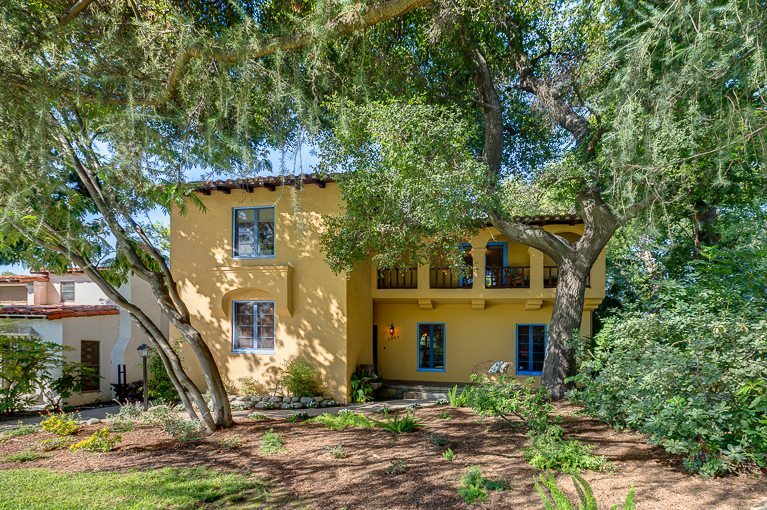 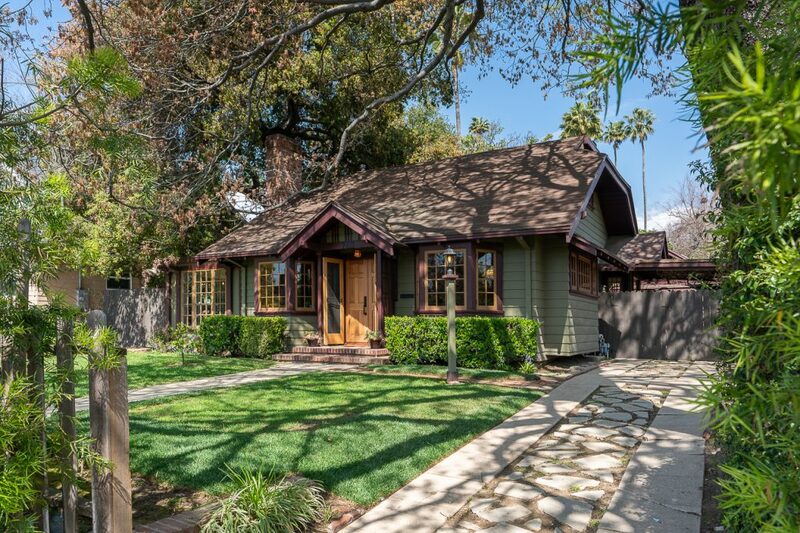 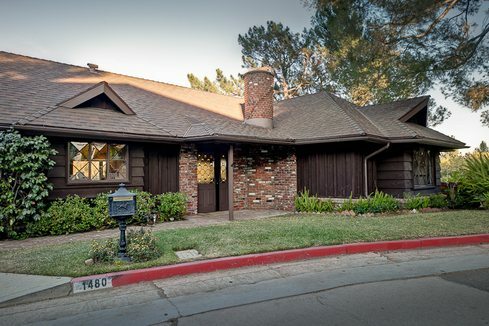 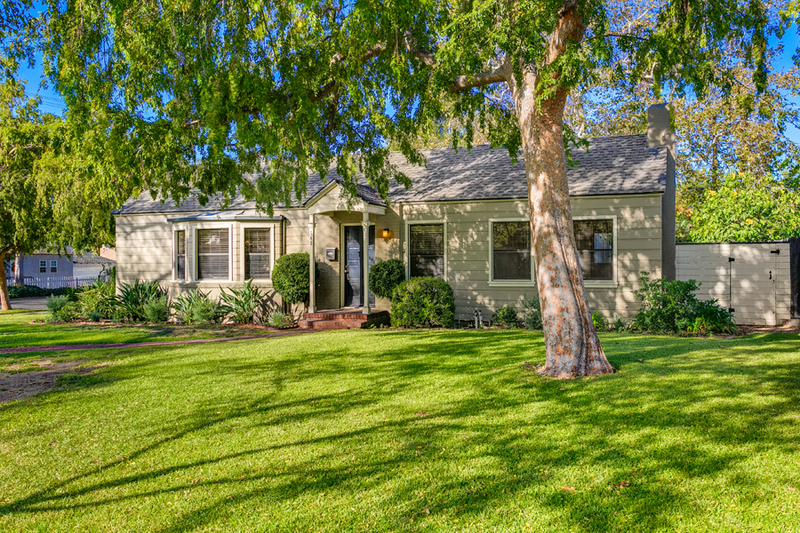 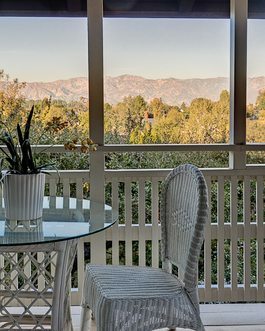 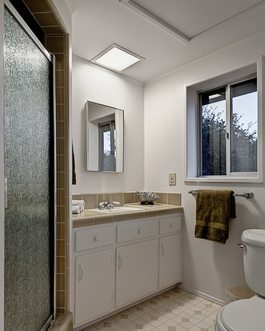 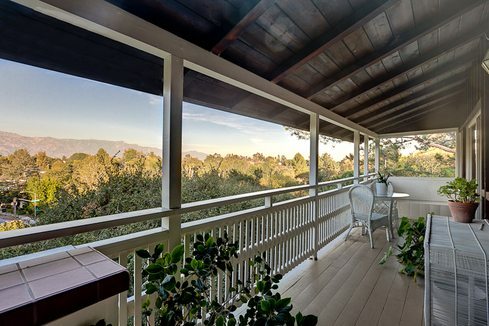 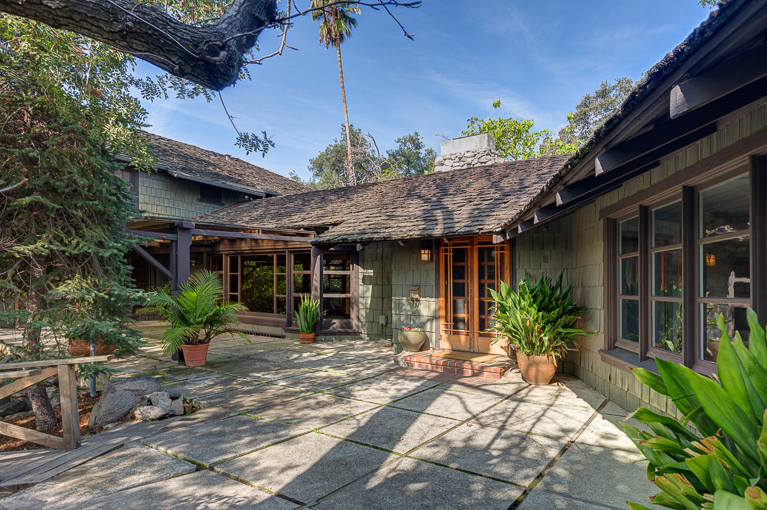 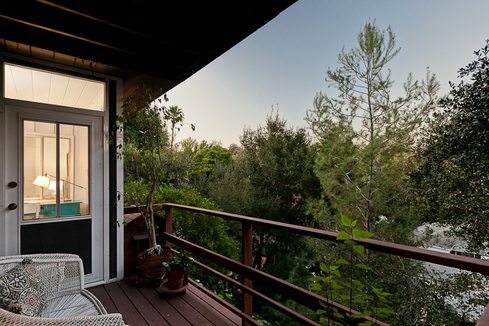 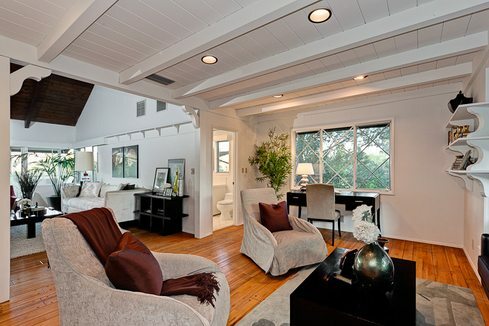 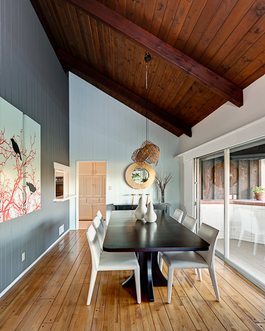 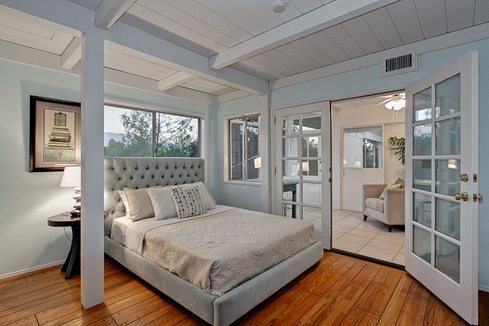 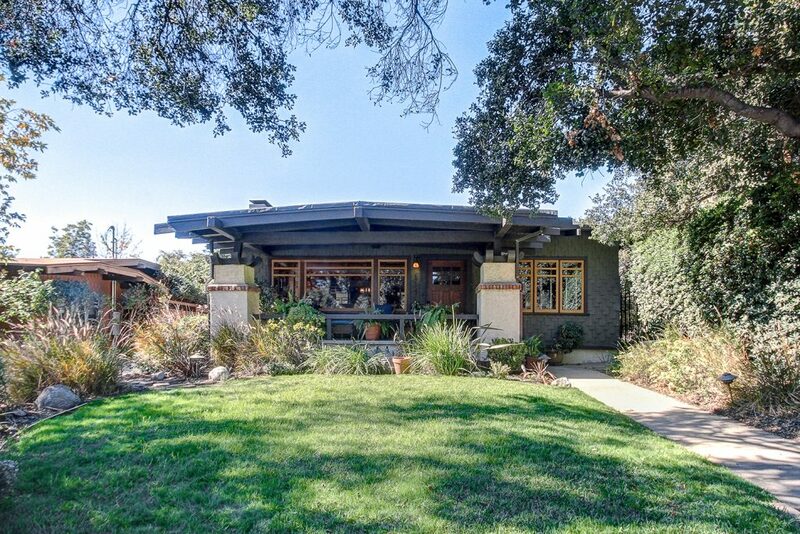 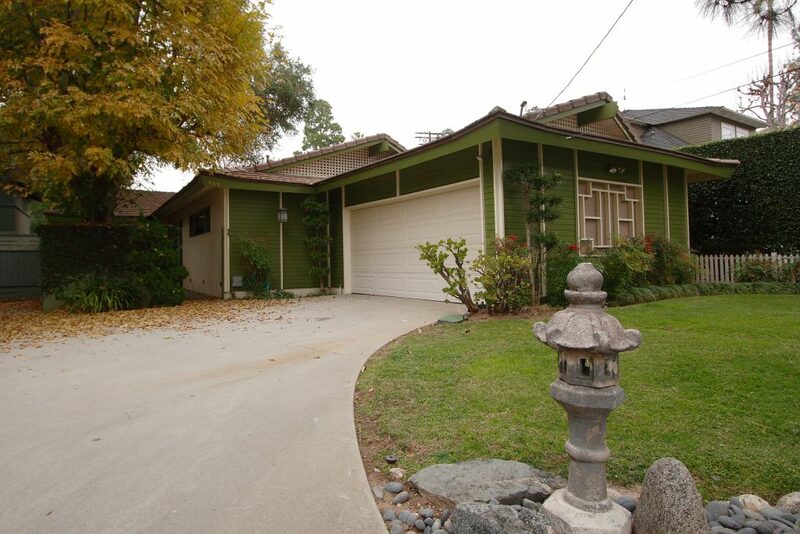 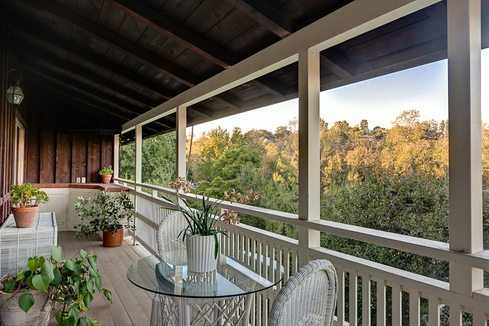 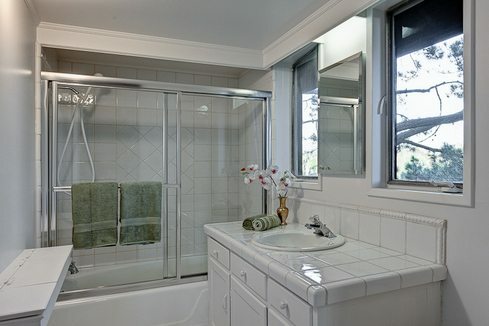 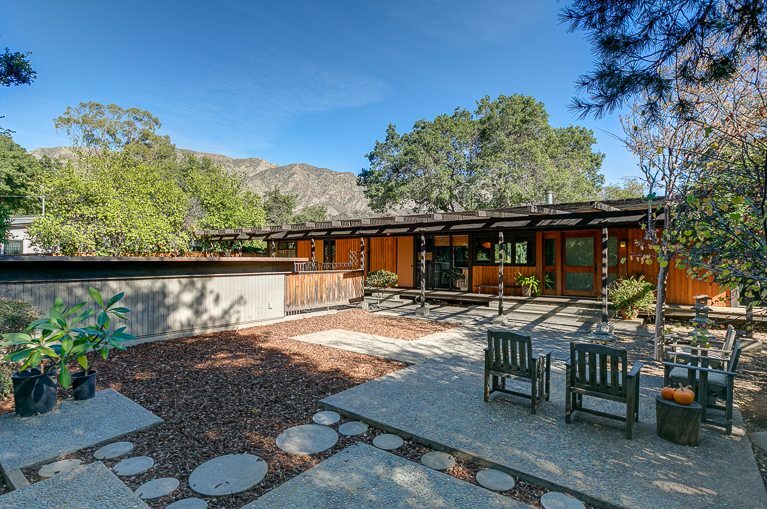 This stylish custom Ranch is located in the sought-after San Rafael Hills of Pasadena. 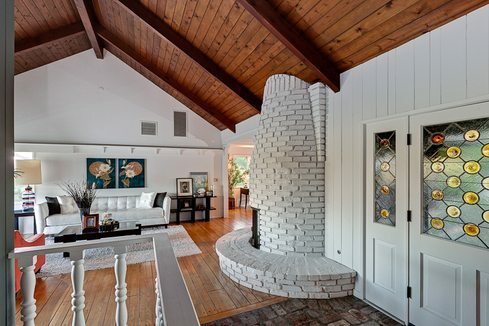 The main floor features a dramatic three-dimensional space: a vaulted beamed ceiling, a commanding circular fireplace in the living and family rooms, and a wall of glass that opens onto a long balcony and an expansive view of the San Gabriel Mountains. 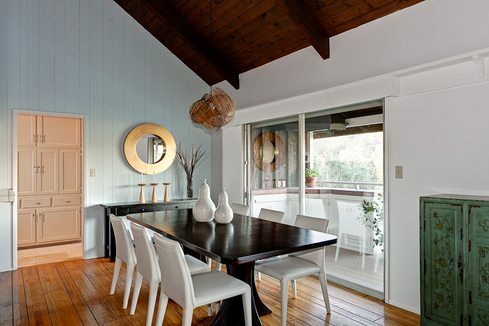 There is also a dining room, updated kitchen, breakfast room, laundry area and full bath. 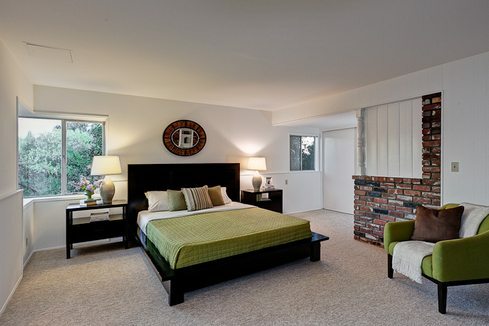 The lower level offers a spacious master suite with brick fireplace, office, sitting room, balcony and second bedroom suite. 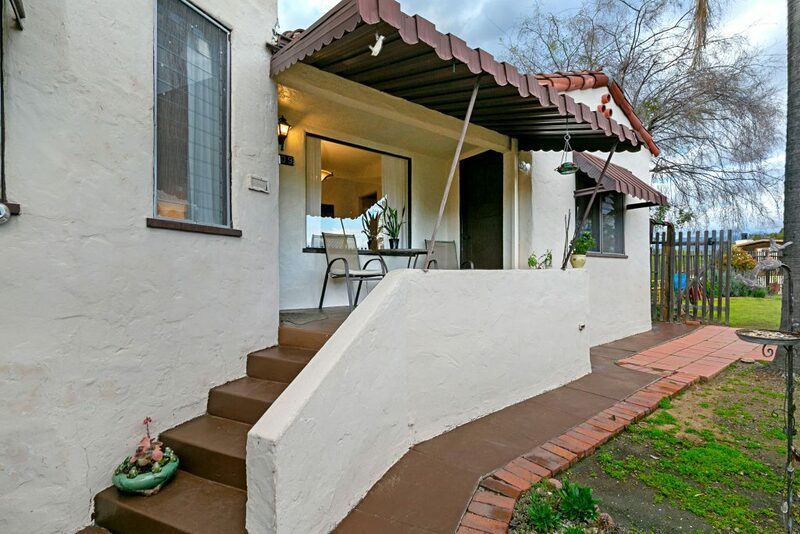 Additional amenities include gleaming hardwood floors, fresh interior paint, newer central heat & air and an attached two-car garage. 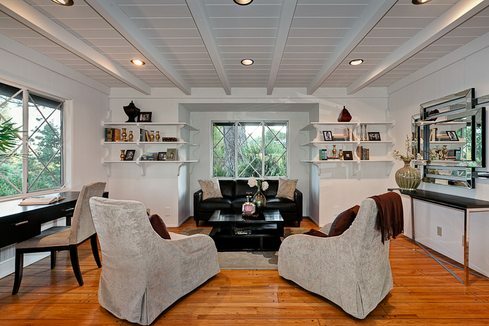 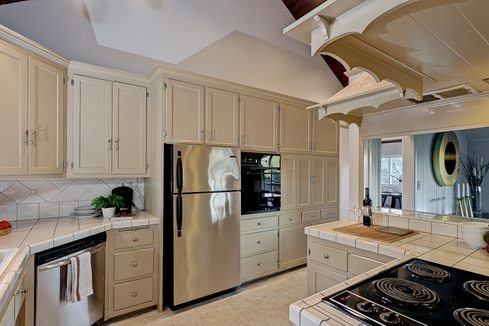 Here is a fabulous home for entertaining and gracious living.